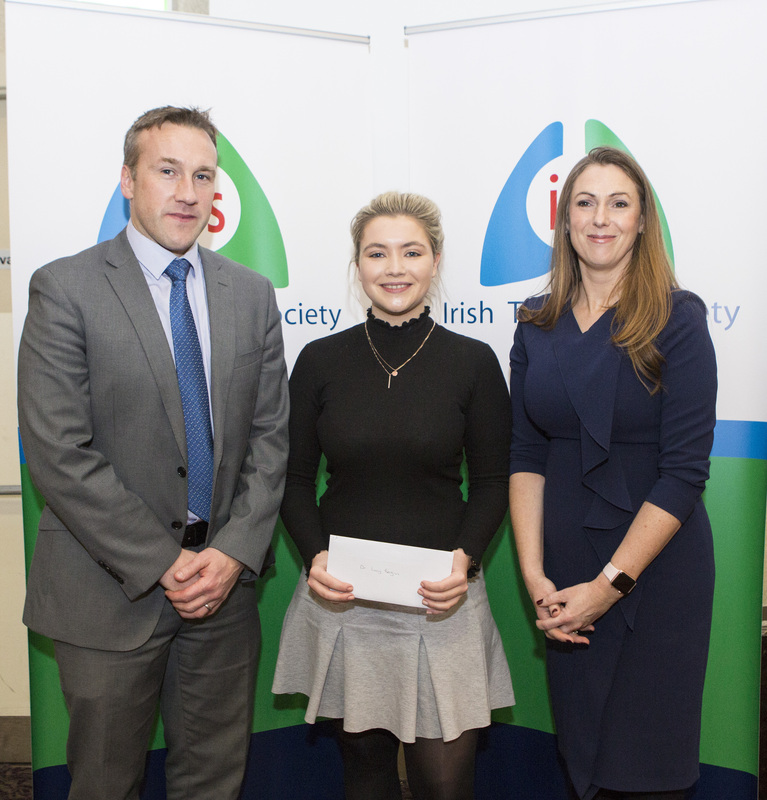 1st Prize – Dr Lucy Bergin, Trinity College Dublin winner of the Award for Best Oral Presentation at the ITS Annual Scientific Meeting, pictured receiving her award from Mr John Barron Boehringer Ingelheim and Dr Jacqueline Rendall, Irish Thoracic Society. 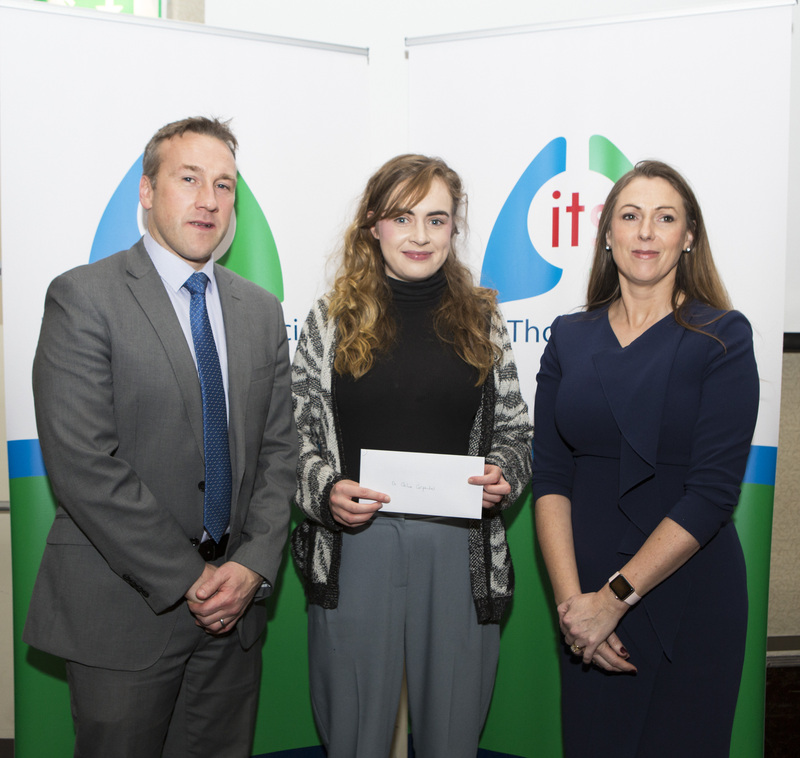 1st Prize – Ms Chloe Carpenter, Beaumont Hospital Dublin winner of the Award for Best Poster Presentation at the ITS Annual Scientific Meeting, pictured receiving her award from Mr John Barron Boehringer Ingelheim and Dr Jacqueline Rendall, Irish Thoracic Society. 2nd Prize – Saad Sharif, Mullingar Regional Hospital, Mullingar – Safety and Feasibility of a CT guided lung biopsy service in a level 3 hospital. 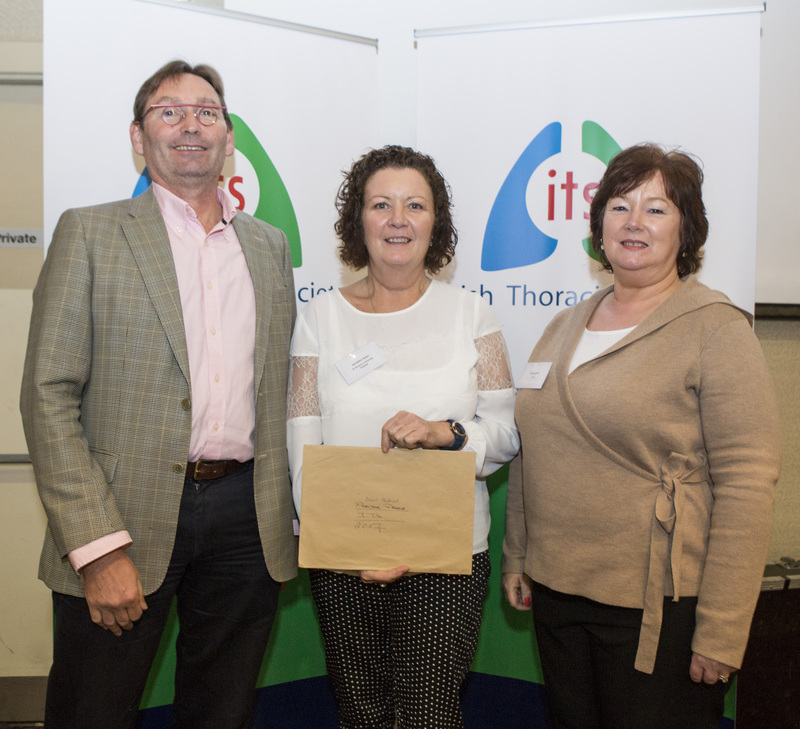 Ms Geraldine Nolan, St Vincent’s University Hospital Dublin, winner of the Award for best poster presented by a Respiratory Physiologist at the ITS Annual Scientific Meeting, pictured receiving her award from Mr Diarmaid Morrissey, Direct Medical and Ms Maria McNeill, DIT.